Learjet 45 Certifications: FAA/FAR Part 25. 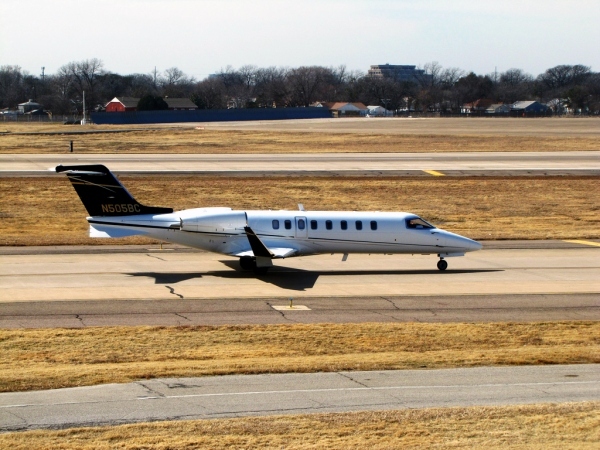 Learjet 45 Single Pilot Capable: No, must be flown with two pilots. Takeoff distance 5,040 feet or 1,536 meters (SL, ISA, MTOW). Landing distance: 2,660 feet or 811 meters (SL, ISA, MLW). Learjet 45 Specifications - Range: See our Learjet 45 Range page for more information. Honeywell TFE731-20AR on regular Learjet 45s/original Learjet 45 engine. Formerly built by AlliedSignal and Garret. Learjet 45 Specifications - Avionics: See our Learjet 45 Avionics page for more information. The Learjet 45 Specifications are also known as the LJ45 Specifications, LJ-45 Specifications and the Bombardier Learjet 45 Specs. Above Learjet 45 Specifications Page Photo by redlegsfan21 on Flickr. Photo released under a Creative Commons License.